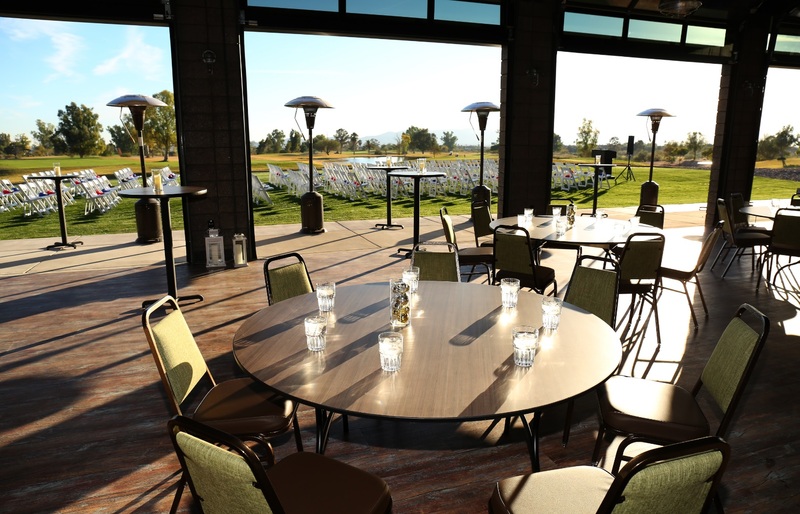 PHOENIX – Evie’s Pavilion, a special-event venue located at Papago Golf Course, is now open to host large gatherings of all varieties with 2,900 square feet of dining and reception space (combined indoor and outdoor) for groups of 25 to 150 people. Garage-style and wall-sized sliding doors open to reveal a patio, fireplace and event lawn. Designed by renowned Douglas Fredrikson Architects, the indoor-outdoor design celebrates Arizona’s unique lifestyle, while accentuating views of the golf course, Papago Buttes and the Phoenix skyline below. 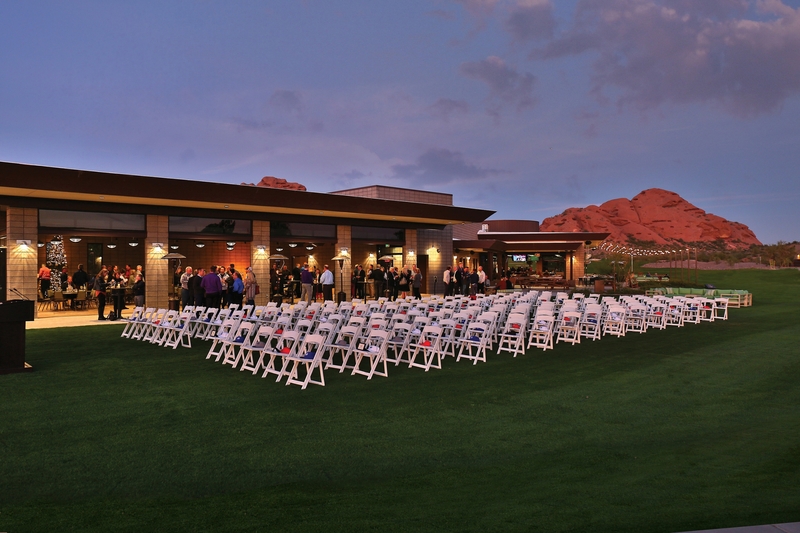 "The completion of Evie’s Pavilion puts the final piece of the Lou Grubb Clubhouse in place," said Mike Conner, Senior Vice President of Operations for OB Sports – the management firm for Papago Golf Course. "It’s very gratifying to see Lou’s Bar & Grill sitting next to Evie’s Pavilion, as Lou and Evie did themselves for so many years. We’re honored to carry their names forward and humbled by their generosity." The clubhouse was funded by a large donation from the Lou and Evelyn Grubb Foundation – a fund at the Arizona Community Foundation – assisted by their son, Dan Grubb, on behalf of the Grubb family. Fittingly, the event hall is named after Evelyn and the restaurant after Lou, who ran an automotive empire in the Valley for decades in addition to the many philanthropic endeavors undertaken by the Grubbs. "We couldn’t be happier with the way the clubhouse turned out," said Dan Grubb. "We truly appreciate how everybody involved came together to build something so special; something my mother and father would be proud of and the entire community can enjoy." The unique public/private partnership – the driving force behind the new Lou Grubb Clubhouse – was formed by the City of Phoenix, Arizona State University and the Arizona Golf Community Foundation to reflect the diverse community the new clubhouse serves. The partnership worked together to conceptualize, secure funding and carry out the project. 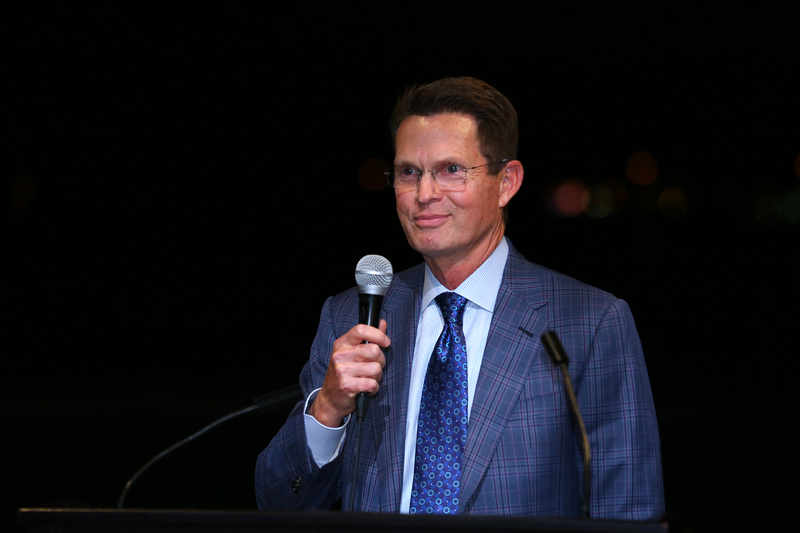 Their efforts crowned Papago Golf Course with a worthy amenity that will act as a social/recreational anchor for neighboring communities and businesses as well as restore the facility to its rightful place as the Valley’s focal point of golf. Lou’s Bar & Grill is located at 5595 E. Karsten Way in Phoenix, Ariz., as part of the brand new Lou Grubb Clubhouse at Papago Golf Course. OB Sports Management is responsible for restaurant, clubhouse and golf course operations. Reservations may be made by phone at (602) 358-7004 or online at www.LousBarAndGrill.com. Visit us on Facebook and Instagram for the latest news and specials. And for more information on how to reserve Evie's Pavilion for your next event, call (602) 237-6324 or visit papagoevents.com. Designed by William Francis “Billy” Bell, Papago Golf Course opened in 1963 as a crown jewel of the City of Phoenix’s municipal portfolio. It hosted the 1971 U.S. Amateur Public Links Championship, and incubated some of Arizona’s most recognizable talent. In 2008, the par-72, 7,333-yard layout underwent a renovation to restore and enhance Bell’s original work in time to host the 2009 J Golf Phoenix LPGA International. And recently, through a public/private partnership between the City of Phoenix, Arizona State University and the Arizona Golf Community Foundation, the club opened a new clubhouse, restaurant, upgraded public practice facilities and a private practice facility for ASU Golf teams. Papago sits on the borders of Phoenix, Tempe and Scottsdale, surrounded by the Papago Buttes less than two miles from Phoenix Sky Harbor International Airport. For more information, visit www.papagogolfcourse.net or call (602) 275-8428.